Spread the love with this kissable smiley. It's always nice to add positivity on Facebook when you can. 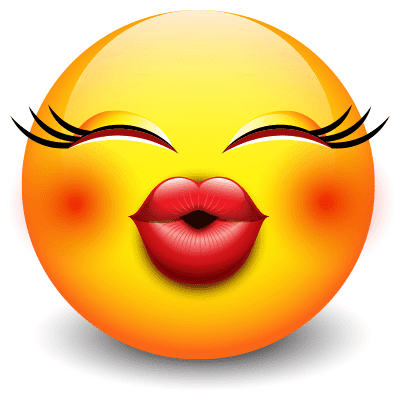 We feature lots of colorful and personable emoticons like this one. Our collection is eclectic and vast. Browse each gallery so you can select images that suit your mood.